As far as big name horror franchises go, they don't get much bigger than Resident Evil. The survival series is iconic, spawning a slew of games and Hollywood hit films. No wonder fans love cosplaying as RE characters. Resident Evil doesn't only star strong male characters, but strong female ones, too. Next week, Kotaku will look at the males. But today, it's time to showcase some female Resident Evil cosplayers. This is only scratching the surface, and there are many, many more, of course. Going on the sheer number of cosplay, Jill Valentine and Ada Wong seem to be fan favorites. But the above gallery has some of the other female characters, too—characters that merit many more cosplay! 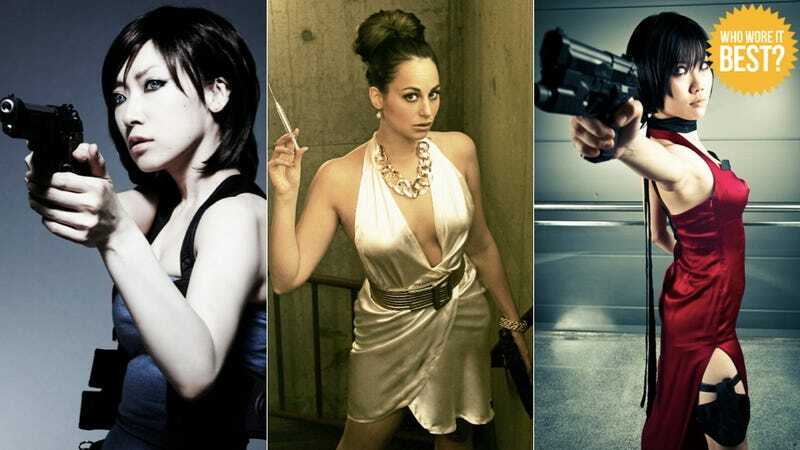 Have a look as you try to suss out which cosplayer pulled off their Resident Evil character best. Click in the image's lower corner to expand to full size.